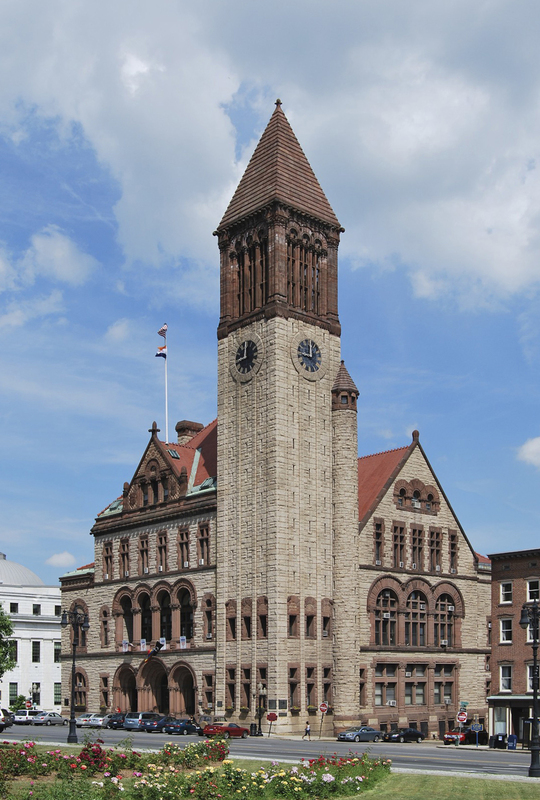 The city of Albany was the hometown of William Gorham Rice, the greatest promotor of the carillon art in the United States during and after the First World War. Rice’s publications and lectures were instrumental for growing popularity of the Belgian carillon across the Atlantic. 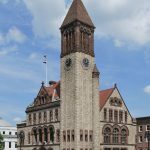 It is no surprise that in 1918, he proposed to the Albany Common Council to erect a memorial carillon in honor of the fallen in the Great War and to place this instrument in the tower of the city hall, that dates from 1883. This proposal was not acted upon. In 1926 the proposal was again offered with the inclusion of other memorials. This call received widespread response and within two months, the necessary funds were raised. 25,000 citizens contributed to the project. 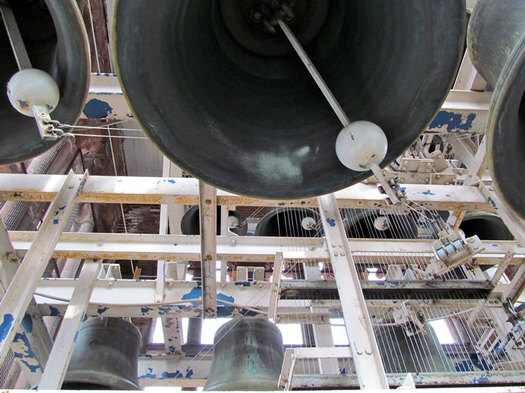 The carillon was dedicated in 1927 with a concert by Jef Denyn before an audience of 50,000 people. 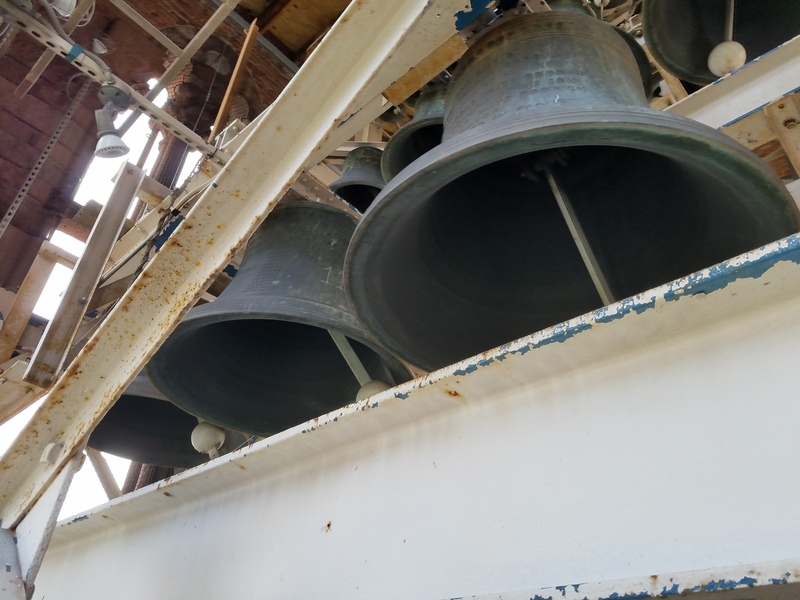 Of the 60 bells installed, 6 were dedicated to the fallen in the war. 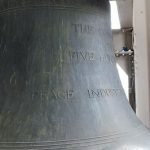 The instrument was the first municipal carillon in the USA and responded to Rice’s dream to develop the carillon art as an expression of good citizenship. However, later on, the American carillon culture would rather develop in university campuses, public parks and churches than in city centers. 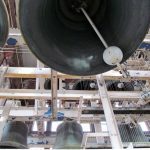 One set of 13 duplicate treble bells was disconnected in the 40ies and in 1959, the baton keyboard was replaced by an electronic keyboard. This operation was undone in 1986. 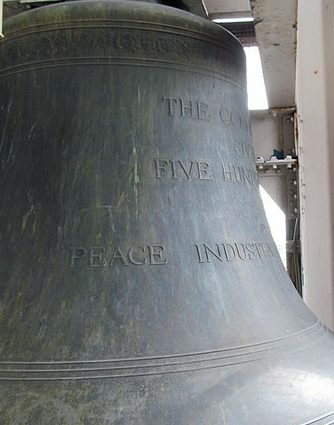 In 1986 and 1989, most of the bells were recast by the Taylor bell-foundry, which had cast also the original bells. 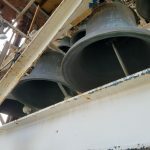 Two of the original bells were place on the grave of William Gorham Rice and his wife at Albany Rural Cemetery to replace the two bells that were originally on his grave but had been stolen.